This page displays all the campervans that are available for hire in Gwynedd . If you would like further information or to speak to the camper's owner about hiring their van please visit their Camperbug page, by clicking below. I am Enlli, hire me today! 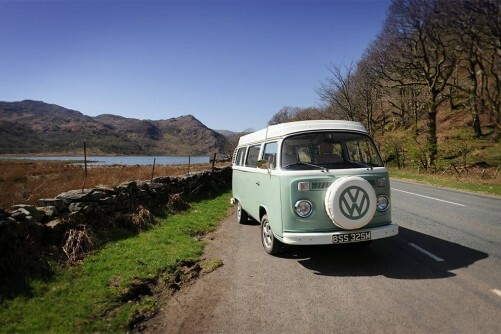 Bessie is a rhd, 1974, late Bay campervan, who loves nothing more than exploring Snowdonia\'s Mountains and Coast, pulling over for a brew, and enjoying the view! Nell is a right-hand drive, 1973 late Bay classic campervan, painted in the same hue as the bluest of summer skies.